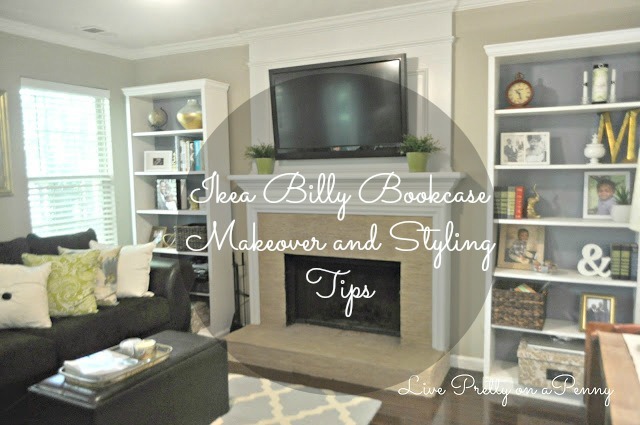 A few years ago, I purchased the Ikea Billy Bookcases from Craigslist. I got both of them for $50, where they normally retail at Ikea for $69.99 each. I normally love to scout out Ikea stuff on Craigslist first before committing to buy it from Ikea at retail. If I am patient, I typically come across what I am looking for. Lucky for me, that was the case with these bookcases. 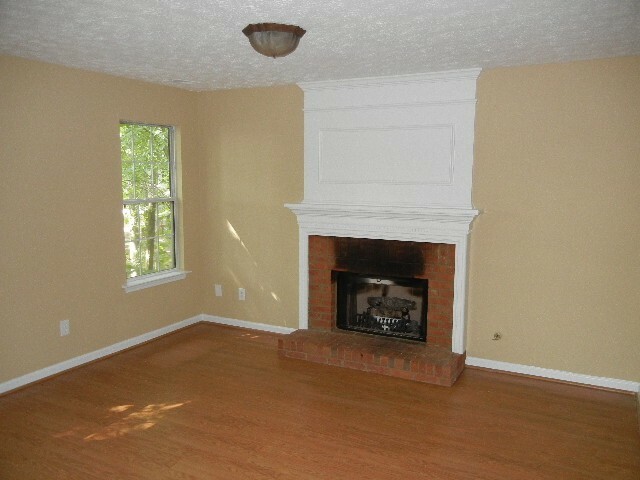 This wall used to be very bland and it was tough to figure out what would work. Functionality- Don’t just add something to add it. 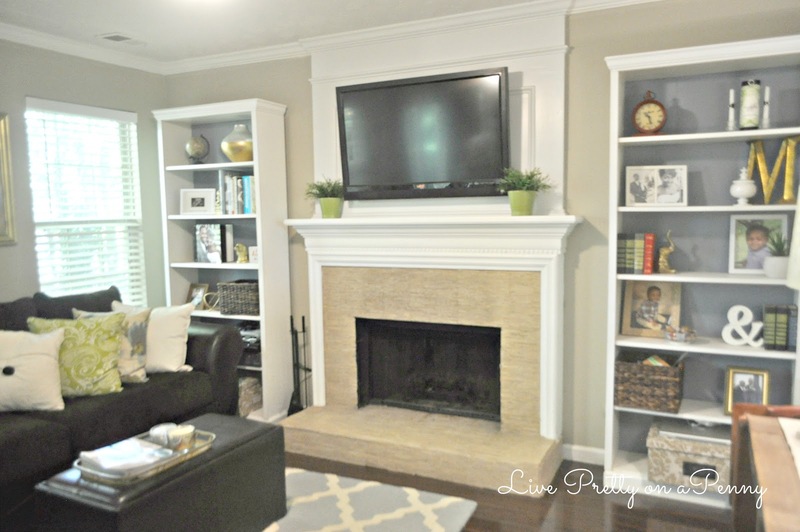 Let it serve a purpose, such as storage, hiding wires, maybe add a clock, or even add books that you like to reference often. 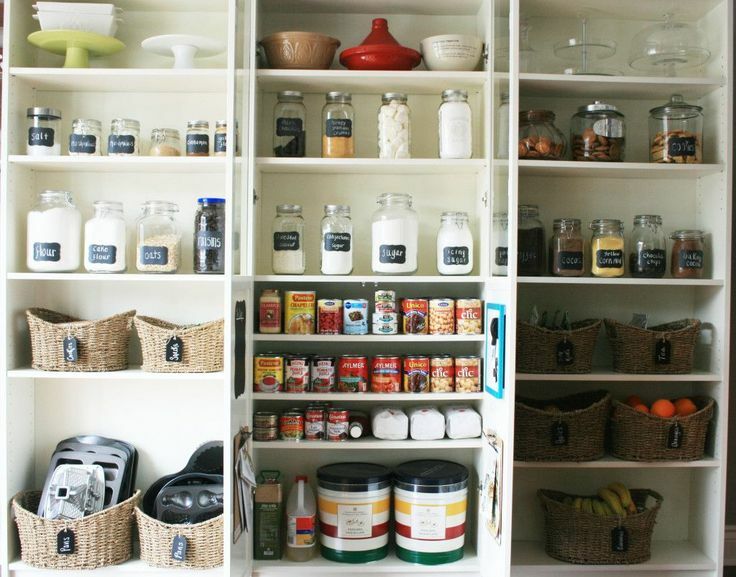 Here is an example of the Billy Bookcases serving as storage as a makeshift pantry. This is a great idea! 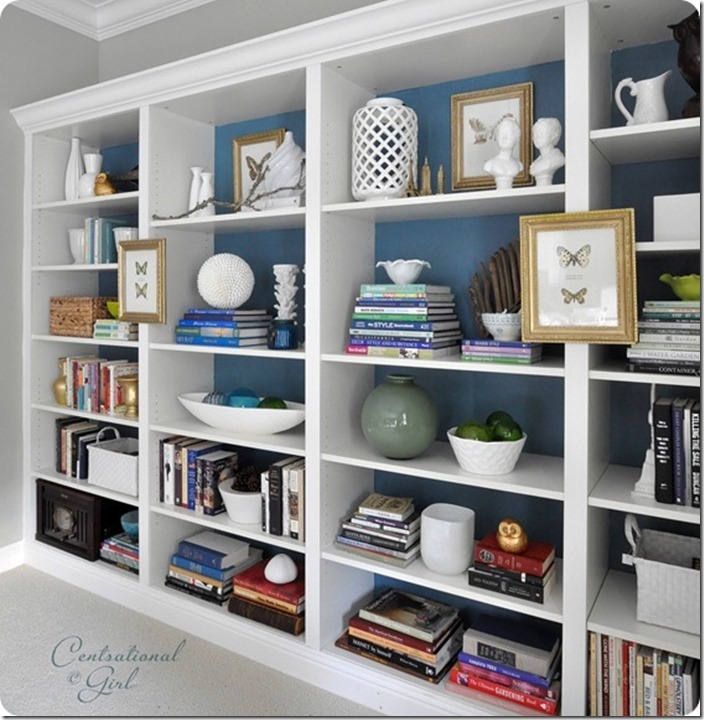 Avoid overcrowding the shelves with “stuff.” While I love to shop and thrift and find interesting pieces, a bunch of Tchotchkes on the shelves can look messy and overdone. Try to stick with things that truly mean something to you. 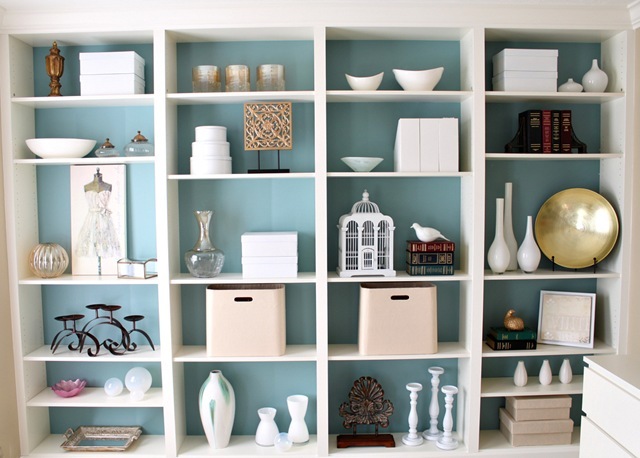 Even if it takes time to fill the shelves with meaningful items, it’s worth the wait. Don’t be afraid to style the shelf, live with it for a day or so, then pull everything down and style it again until you get what you are looking for. You will know when its to your liking. Play around with layouts. All books don’t have to stand up straight. Try laying some down, and stacking decorative items on top. Add different textures and colors. Have fun! They are your shelves and should reflect what works best for you! Check out my YouTube video where I take you on a tour of my shelves! As always, thanks for stopping by! Until next time!